Industrial razor blades are used by thousands of companies every single day to slit a variety of materials. These materials range from film, to glass sheet, paper, vinyl, the list goes on. Because of the multitude of materials cut using industrial razors, AQS offers our razor blades in different materials to suit the application. The high quality of our industrial razor blades allows for a cut that helps to cut down on the wrinkling or curling of the material, in turn minimizing waste and dust accumulated through the process. Our tungsten carbide razor blade offers a knife that is extremely durable and long lasting, translating to less changeover, a cleaner cut, and overall savings on time and material for our customers. The tungsten carbide razor blade offers 80x the wear resistance of a traditional carbon steel razor blade, making it perfect for high volume or more abrasive slitting. 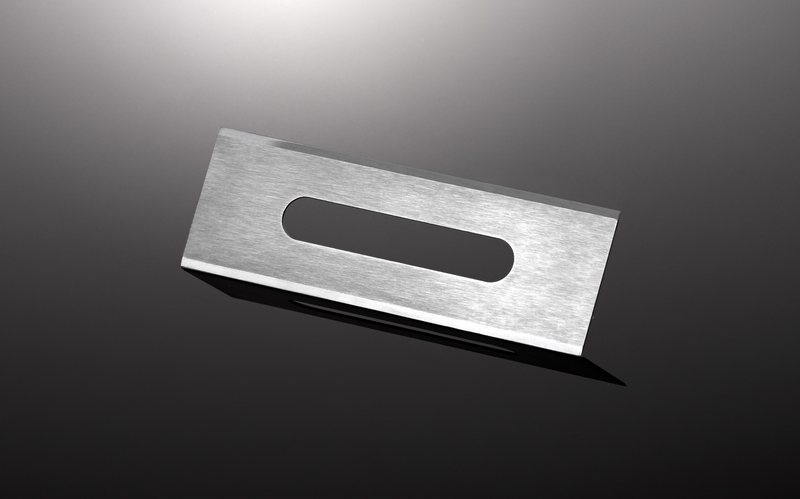 In addition to tungsten carbide, our industrial razor blades are available in carbon steel and stainless steel. We also offer the option of coating the razors with either ceramic or a titanium nitride coating. As always, with our ISO 9002 certified facility, you can be assured of the quality of our products. We are confident that you will find that our industrial razors are among the top in the business and boast the qualities of long lifespan and tight tolerance that we assure with all of our blades.